I’ve been working on a project for a long time now. It’s never got beyond the first 10,000 words, and it keeps changing, but I SO want it to work. 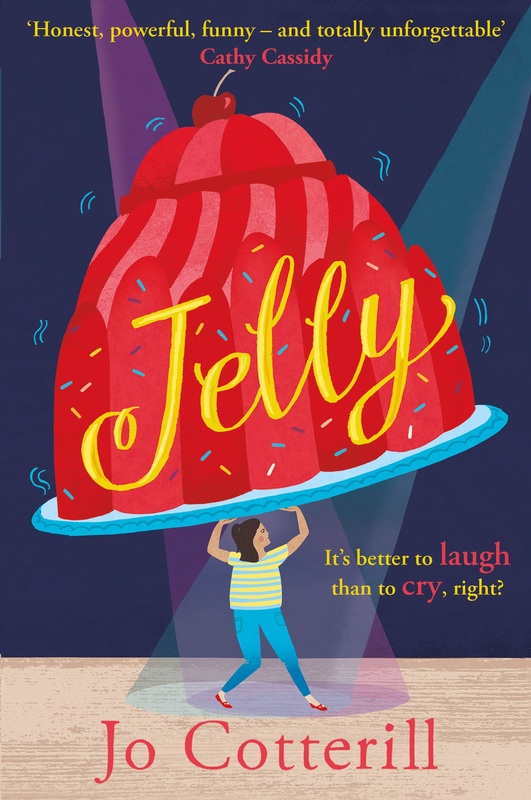 A few months ago, I got in touch with Cathy Brett, who is a super, super illustrator, and asked her if she’d be interested in working on it with me. She said yes, hurray! So we did some thinking and some planning and then I wrote some of the book all over again and she did some wonderful drawings – and then we said to each other, ‘Should we perhaps show this to someone before we do all this work?’ Because if a publisher doesn’t want it, it would be a terrible waste of time. 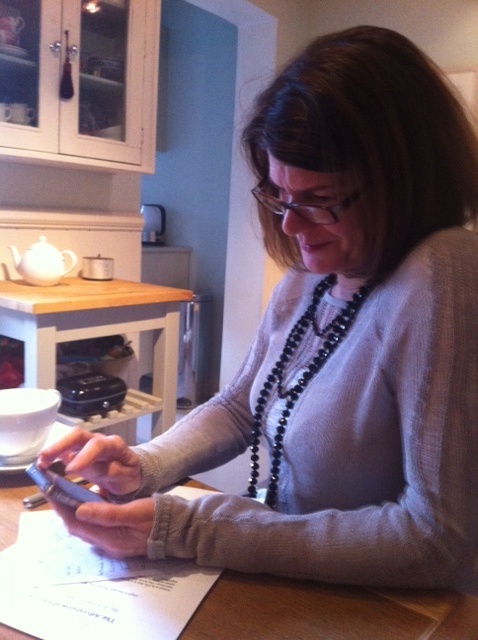 Luckily we both have the same agent – the wonderful Penny Holroyde. 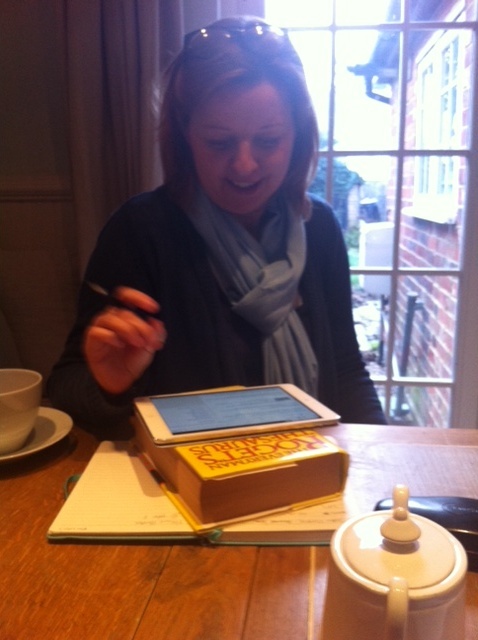 So today I drove over to Cathy’s house and she and I and Penny spent some time thrashing out The Plan for the book. I’m having to start again, but I don’t mind because it feels very solid now and I think I can feel it. That probably sounds strange, but when I’m writing a book, it’s very important for me to be able to feel its shape and its centre; its soul if you like. And now I do. So that’s great. While I was at Cathy’s house, I met her ‘flatmates’ (AHAHAHAHAHA!!) 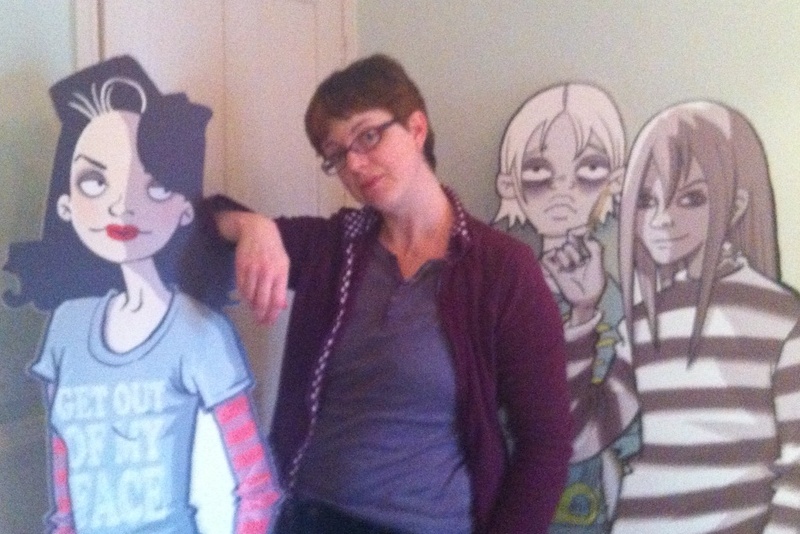 life-size cardboard cutouts of her characters Verity Fibbs, Scarlett Dedd and Ember Fury. I was sorry that I had to leave in order to miss the rush hour on the M25! But it was a great meeting and just shows how useful it can be to get people round the table, face to face, when it’s a case of creative brainstorming. The internet is all well and good, but you can’t beat a good face-to-face 🙂 Especially when there’s home-made bread! Thanks, Cathy!